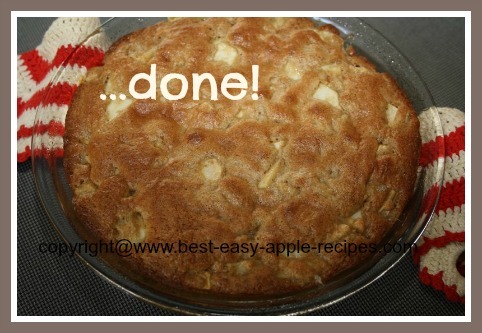 I believe this is the EASIEST Recipe for Apple Dessert EVER! 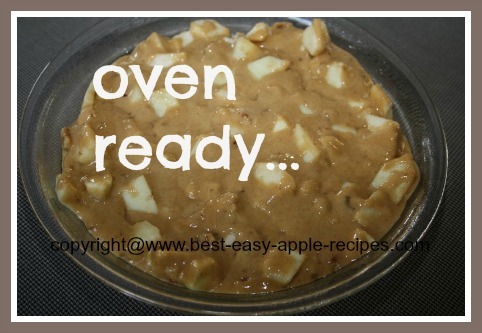 It makes a delicious, quick dessert in a pie dish. Garnished with a dollop of whipped cream sprinkled with a touch of cinnamon, whipped dessert topping, Greek Yogurt, or ice cream, this simple dessert will quickly become a popular family favourite! This recipe includes ingredients that are common, and than you most likely have on hand in your kitchen - and this dessert contains no margarine, butter or vegetable oil! For a bigger crowd, simply adjust the ingredients and make two! In a bowl, whisk together the flour, brown sugar, baking powder, salt and cinnamon. Mix in the unbeaten eggs and the vanilla. Fold in the chopped apples and chopped walnuts. Turn batter into a greased, (or use non-stick baking spray), 9" pie dish. Bake at 350° F for 25 - 30 minutes or until brown and crusty. Serve warm or cooled plain, or garnished with whipped cream sprinkled with a tiny bit of cinnamon, whipped dessert topping, Greek yogurt, or ice cream. 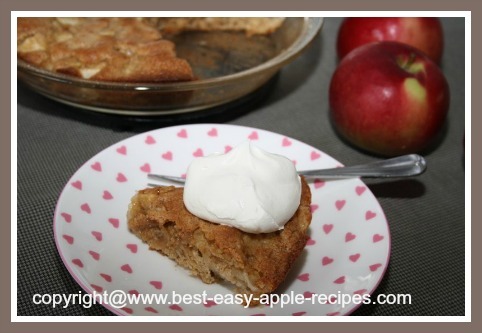 ENJOY this very simple-to-make Apple Dessert Recipe! 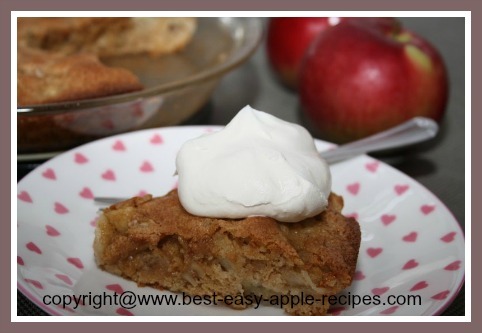 Fast and Easy Apple Dessert Idea! 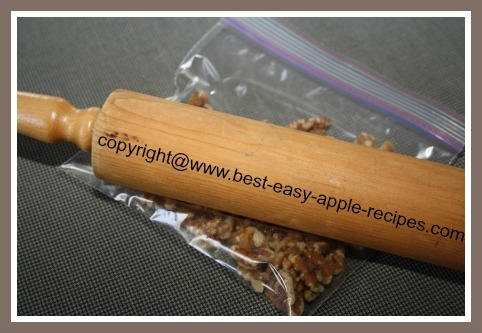 To crush the walnuts, or other nuts, simply put the nuts into a small plastic bag, or between waxed paper and, using a rolling pin, crush the nuts by rolling over them (see image below). Like apples, nuts (walnuts, almonds and hazelnuts), are healthy foods. Like the skin on apples, the skin on nuts is full of goodies! Health benefits with eating nuts, (sources suggest not more than 1 ounce of nuts a day), include heart health, help with steadying blood sugar, and anti-inflammatory properties, to mention a few.